When it comes to coffee drinkers, there are two types of people: the drink to live type (you know who you are) and the live to drink type. The difference being the former is all about convenience, where the later treats the act of brewing coffee like an art form. 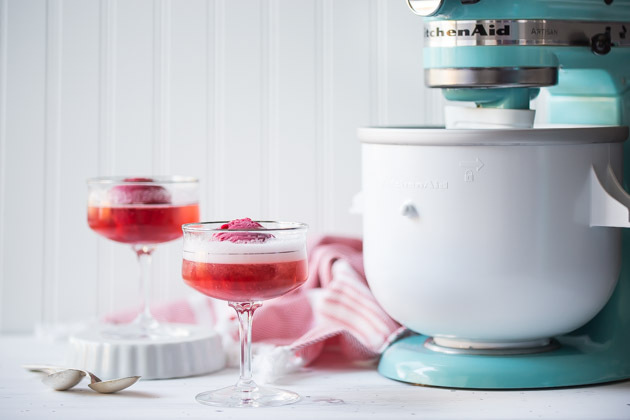 Luckily, KitchenAid has you both covered with a series of new products to brew your perfect cup. 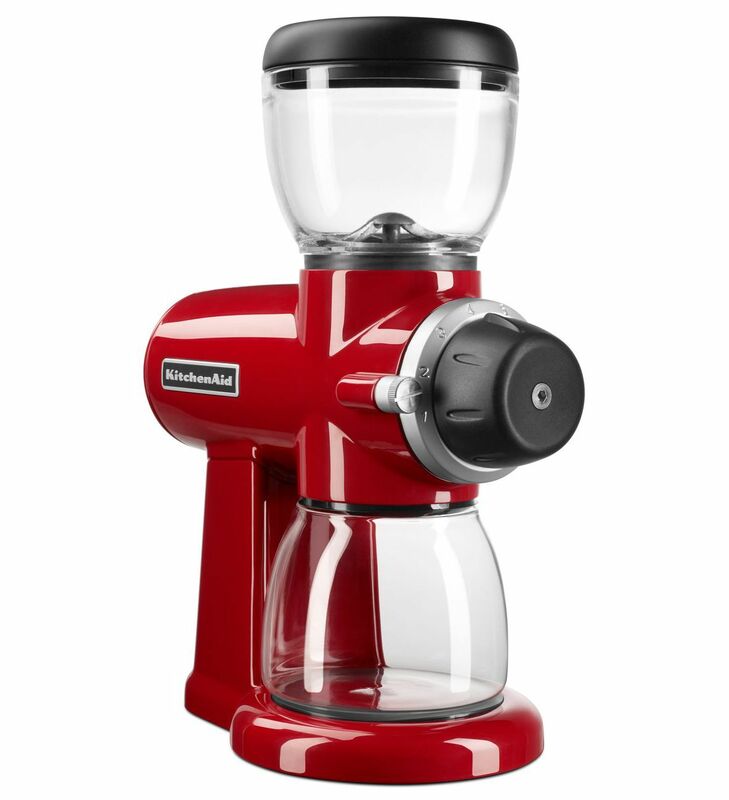 We’ll start with the KitchenAid® Burr Grinder. It is a well known fact that buying pre-ground coffee is the quickest way to brew a lackluster cup. It’s all about surface area (ground coffee has more of it) and the length of time that surface area is exposed to oxygen and moisture, which can break down the subtle flavor compounds of coffee in mere minutes. 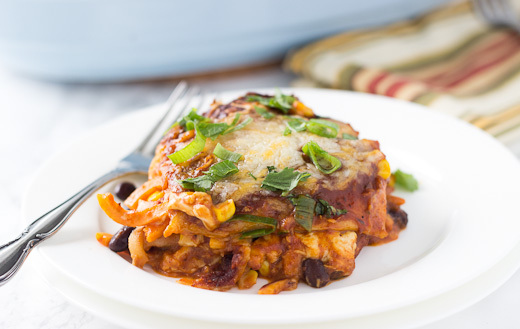 Instead, grinding your own beans just before brewing will produce a more robust and refined flavor. This Burr Grinder differs from a blade grinder in that it ‘crushes’ the beans rather than cuts them. The Burr Grinder grinds the beans through two revolving abrasive surfaces, crushing the beans and producing a very consistent grind. Coarse grinds are very hard to do consistently with a blade grinder, and that’s where this Burr Grinder truly excels. This Burr Grinder also doesn’t heat up the beans during the grinding process, which is preferable as heat can destroy some the flavor and aroma in the brewed coffee. That’s not to say a blade grinder isn’t useful. 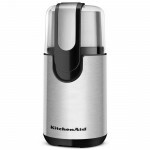 I love my KitchenAid® Blade Coffee Grinder for grinding spices or for pulverizing rice to make homemade rice milk or horchata. But for a true coffee aficionado, I love this Burr Grinder. If you’re going to buy good quality (i.e. expensive) coffee, it deserves a good grind. Here in Nashville our favorite local roaster is Eighth and Roast, although in this town (like many others these days) there is certainly no shortage of good quality, locally roasted coffee. The beauty of the KitchenAid® Burr Grinder is it has the ability to finely control the size of the grind, from extra coarse to super fine, and everywhere in between (the size of the grind depends on the spacing between the surfaces). For a French press brewer, a coarser grind (level 1-3) is ideal, as the larger sized grains will get pressed out of the coffee and it won’t be nearly as sooty or gritty. For a more traditional drip coffee brewer where a fine mesh or paper filter is used, a finer grind is needed to allow the water to come in contact with more of the surface area of the coffee, therefore producing a more robust flavor. An even finer grind (7-8) would be for something like an espresso, which has a pronounced, strong flavor. Here we used level 6. You can see the differences in the fine grind (left) vs the coarser grind (right). Now that we’ve ground our beans to perfection, let’s brew! 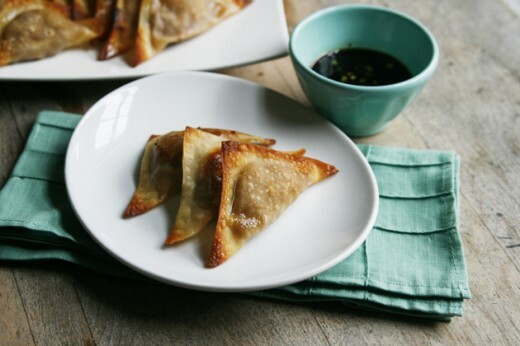 I can almost smell the aroma… can you? The coarser grind is perfectly suited for KitchenAid®’s Precision Press Coffee Maker. 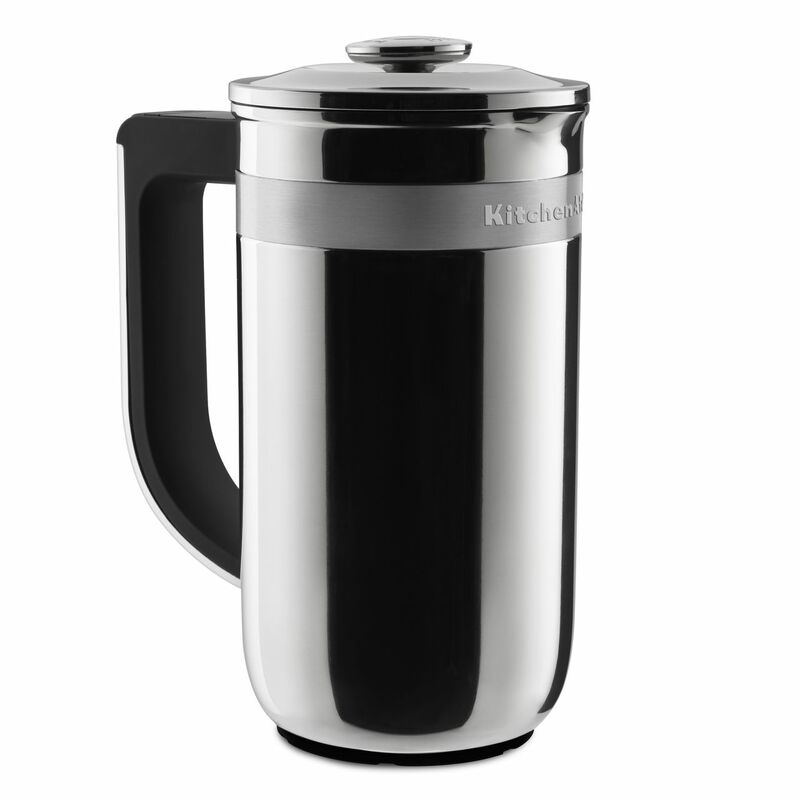 This stainless steel beauty is like a traditional French press with a digital scale and timer built right in. That’s right, no more eyeballing the coffee or forgetting to set a timer and letting it brew for too long. The timer and scale help you brew perfect coffee on a consistent basis. Simply spoon in the appropriate amount of ground coffee for however many cups you will be brewing (we used 46 grams of coffee for 5 cups). 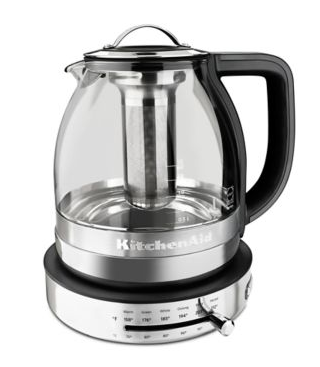 The Precision Press doesn’t actually heat the water for you, but if you’ve got the KitchenAid® Glass Tea Kettle (which boils water in a matter of minutes) you are good to go. Pour the appropriate amount of water over the coffee, taking care not to exceed the max fill line. Stir, then put the lid and plunger in place (leave it up for now), and start the timer. After about 4 minutes (more or less depending on your preferred brew strength) push down the plunger, slowly and consistently, over 10 to 15 seconds. While traditional French presses often have temperature control issues (the water cooling to less-than-optimal temperatures during the 4-minute brew period), the double-wall construction of the KitchenAid® Precision Press is meant to insulate and retain heat so your coffee remains at the perfect temperature the entire time. And you’re done. Pour, sip and enjoy! The Precision Press is great for a small household or someone with limited kitchen space, brewing a small batch of coffee quickly and easily in a very compact package. It’s a more hands-on process than a drip coffee maker, but as a reward for that effort you get to precisely control the end result by adjusting the specific grind size, quantity, and brew time. The result is going to be a more intense and robustly flavored cup of coffee. For a larger household (or a heavy coffee drinking one), being able to brew a large quantity of coffee at one time and with minimal effort might be a necessity. In which case the new KitchenAid® 12-Cup Coffee Maker is great (although, it’s good to note, it also has a ‘small batch’ setting perfect for 2 to 4 cups). With this brilliant machine you can simply ‘set it and forget it’ the night before using the one-touch programming feature, choose your brew strength (either regular or bold), and you’ll wake up to a steaming pot of freshly brewed coffee. This 12-Cup Coffee Maker has a 2-hour warm mode, so even if you hit the snooze button a few extra times, your coffee will be ready and waiting no matter what. The gold tone filter produces a perfectly smooth and refined cup of coffee, though you can also use a disposable paper filter to brew an even smoother cup. And remember, drip coffee is best with a finer grind, where the extra surface area of the ground coffee will come in contact with the water and allow for maximum flavor. 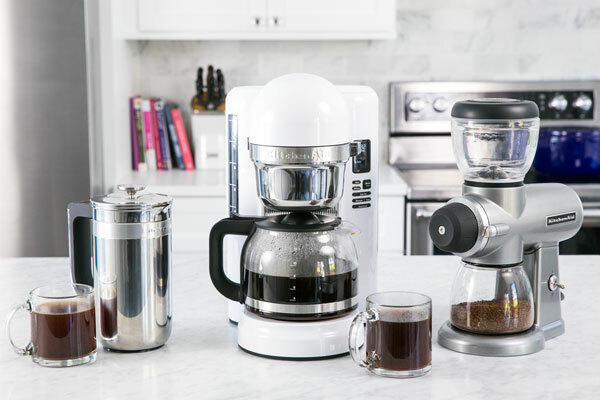 So whether you prefer carefully crafted, hands-on coffee, or fully automatic but no less delicious, KitchenAid has a coffee product (or three) to fit your needs. Now it is your turn! How will you use these smartly designed and caffeine-fueled products to brew your perfect cup of coffee? Share your favorite cup of coffee on Instagram using #MadeWithKitchenAid for a chance to be featured.